Motorola has hinted that the follow-up to its first smartwatch could arrive early next year. The Moto 360 was one of the first Android Wear smartwatches to be launched. However, it appears that Motorola wasn't happy with the first version. When questioned in Russia, Lenovo executive Gleb Mishin hinted that the company is working on a new version off the Moto 360 smartwatch. He also suggested that it could arrive early next year. The Moto 360 was the only smartwatch to come close to matching the amount of anticipation surrounding the Apple Watch. However, issues will build quality, the black bar at the bottom of the screen and poor battery life meant that Motorola failed to capitalise on it. Some commentators have suggested that the watch's Achilles Heel was the Android Wear operating system. However, Google is expected to release a major update to the OS before spring. That could have a massive impact on the success on the follow up to the Moto 360 smartwatch. An early 2015 launch would also put Motorola's rumoured smartwatch head-to-head with the Apple Watch. Apple still hasn't announced a launch date for its smartwatch. We are unlikely to hear any official information about Morotola's plans before Christmas. 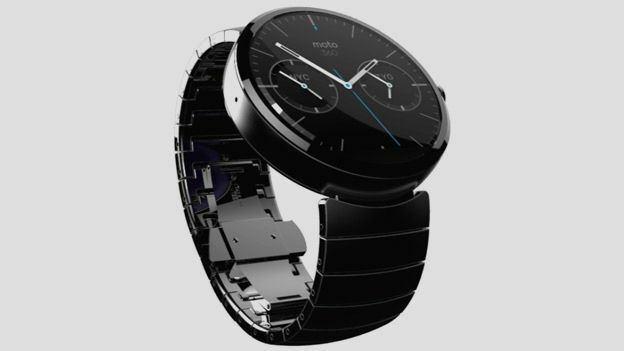 That makes it very likely that Motorola will unveil any follow-up to the Moto 360 at CES 2015. We'll keep our ears to the ground and bring you any more news about the follow-up to the Moto 360 when we hear it.